I Am Wrath is an American action thriller film directed by Chuck Russell and written by Yvan Gauthier and Paul Sloan. 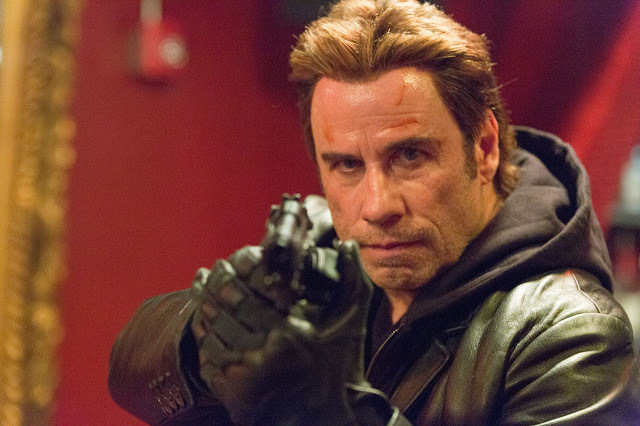 The film stars John Travolta, Christopher Meloni, Sam Trammell, Amanda Schull, Rebecca De Mornay and Luis Da Silva. Principal photography on the film began on March 9, 2015, in Columbus, Ohio. The title quotes Jeremiah 6:11 and the protagonist reads this verse in the Bible opened after he has thrown it on the floor. Unemployed engineer Stanley Hill (John Travolta) witnesses the murder of his wife, Vivian (Rebecca De Mornay), when she is attacked by a gang of thugs in a parking garage. Wracked with guilt over his failure to save the woman he loved, Stanley is tortured by the haunting image of Vivian dying in his arms. When Detective Gibson (Sam Trammell) and other corrupt police officers are unable to bring the killers to justice, Stanley turns to his old friend Dennis (Christopher Meloni), and decides to take matters into his own hands. It is only then that Stanley and Dennis find that they share a mysterious past that, until now, they have kept very well hidden. As they embark on their campaign of vengeance, Stanley uncovers a conspiracy that leads to the upper ranks of the government, and those involved in the cover-up soon realise that Stanley and Dennis are far more dangerous than they could ever have imagined.